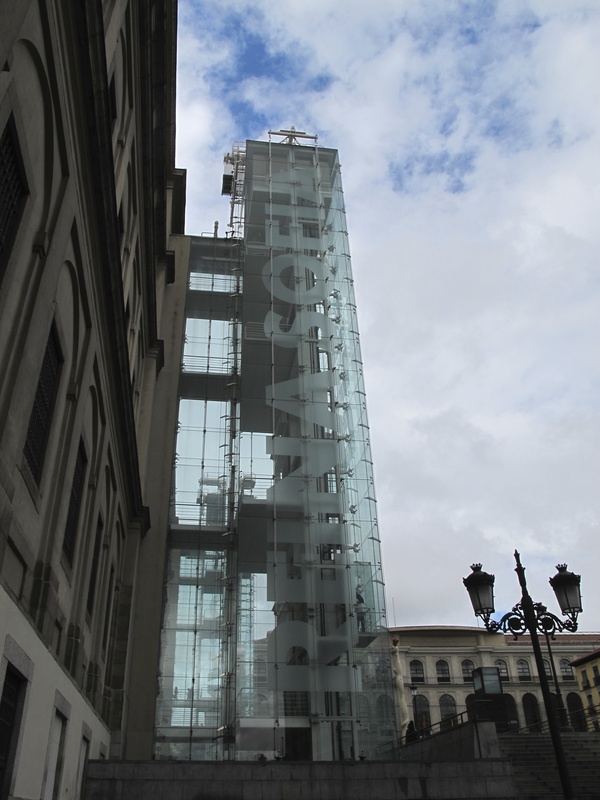 But on the first floor of the Reina Sofía there is a collection entitled “From Revolt to Postmodernity (1962-1982)” that is a little less my speed. Included in this collection are works like The Nominal of Three (To William of Ockham) by Dan Flavin, which consists of “a succession of vertical cool white fluorescent tubes in a 1, 2 and 3 sequence, arranged on a wall.” There is also Magnesium Copper Plain by Carl Andre, which is “thirty-six pieces of magnesium and copper, alternating eighteen pieces of each metal, laid in an overlapping fashion on the floor.” Other pieces in the collection include videos of performance art, Spanish experimental art, and a piece described as a “plastic sound” work. The era and type of art represented in this collection (described on the museum’s website as “notable for the spread of social conflict and for the way intellectual interest diversified towards various areas of the world”) is of an ilk that I can safely say I just don’t get. I know this makes me sound uncultured. But it’s the truth. In light of this admission, it should come as no surprise that I felt the same way about The Flamethrowers. The book is set largely in the SoHo art scene of the 1970s. The main character is Reno, so nicknamed after arriving in New York from her home state of Nevada. She moved to New York to become an artist (“an irony but a fact that a person had to move to New York City first, to become an artist of the West”). Reno becomes involved with a much older artist, Sandro Valero, the super-rich son of an Italian motorcycle and tire magnate. Sandro is known in the art world for his metal boxes. They are performers, story-tellers, liars. And Reno doesn’t quite fit in. 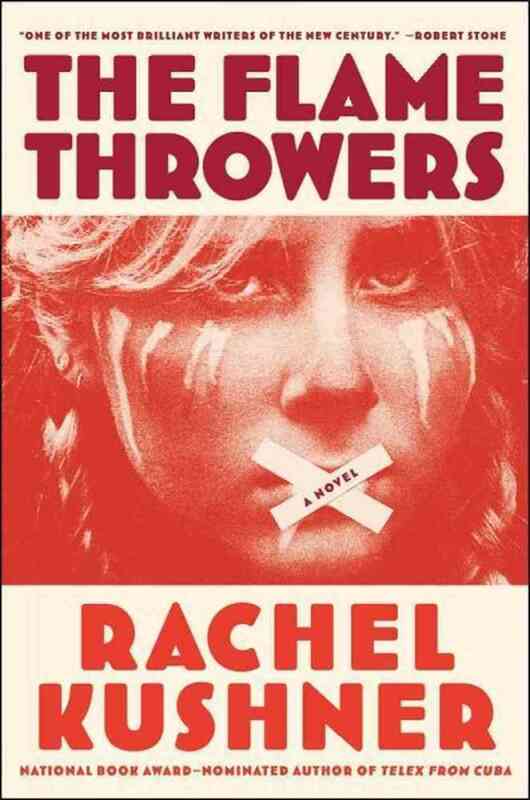 The Flamethrowers is a kind of coming-of-age tale. Reno is trying to find herself in this new world. She is naïve and foolish and lacks confidence. She sees herself as silly compared to these “serious” artists. She wants to be a part of it, of them. She seeks to make a name for herself in the art scene. Her first attempt takes her back to the salt flats of Nevada, where she tries to set a land-speed record on a motorcycle and take pictures of her tire marks. Her second attempt takes her to Italy with Sandro, where workers are striking at the Valero factory, and it is a time of revolution and upheaval. She wants to film something there (she doesn’t know what). Although she does not succeed in her artistic endeavors, these journeys help her learn more about herself and Sandro and the world around her. The book is supposed to be good. Tons of people have said so. The problem: like that art in the Reina Sofia, I just didn’t get it. She had been at a beauty salon in Bellagio in the afternoon, and I could see that her hair was sprung a bit too tightly. She wore a long, brocaded tunic like something purchased from a Turkish bazaar, with espadrilles whose constricting ties crisscrossed up her ankles, as if the ribbons were meant to compensate for the swollen and blotchy appearance of her old legs. She seated herself, touching the curls that clung to her scalp like Mongolian lamb’s wool. It was obvious she had been beautiful when she was young, with eyes that were the splendid gold-green of muscat grapes. She was in her seventies now, her complexion like wet flour, clammy and pale, with the exception of her nose, which had a curiously dark cast to it, a shadow of black under the thin tarp of skin, as if her nose had trapped the toxins from a lifetime of rich food and heavy wines. But I found myself getting bored. Frequently. There is a lot (I mean, a lot) of descriptive language. Also, the book bounces between two separate revolutions: the radical left factory workers in Italy and the artists in SoHo. Neither revolution particularly resonated with me. I just didn’t care a whole lot. Not to mention, Reno is a bit pathetic. And simple. And flat. Which made me care even less. This is the first book in a while that I almost didn’t finish. 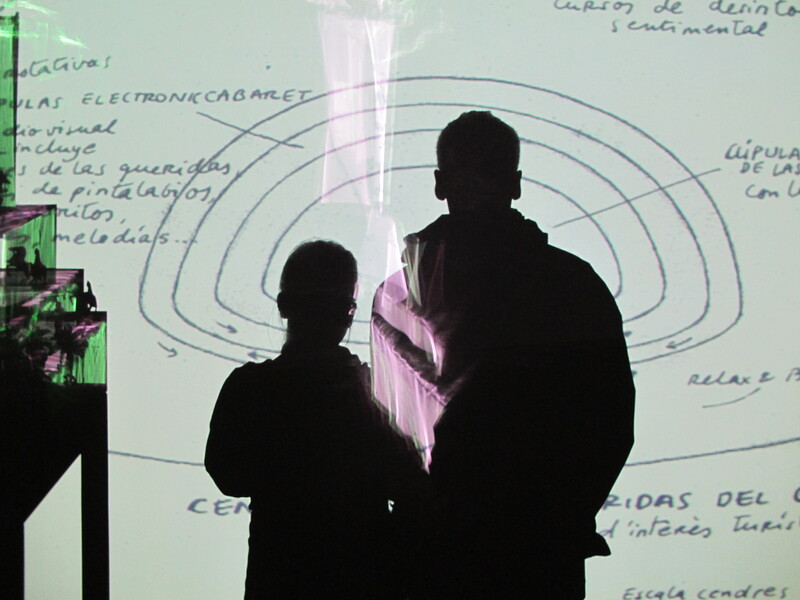 Who should read it: people who look at the art in the Reina Sofía’s collection “From Revolt to Postmodernity” and get it; people who are into abstract, avant-garde art as “statements”; people who want a revolution. This entry was posted in Rating: 2/5 and tagged Book review, Books, Rachel Kushner, The Flamethrowers. Bookmark the permalink.